I love dried fruit. Figs, dates, apricots, you name it. I especially love dates. When in Arizona, there is a road side stand close to the airport in Phoenix that sells dates the size of plums! I buy them whenever we are there. When I was a kid, my mother always bought Thomas' Date Nut Bread (the same maker as the English muffins). We loved it with just a "schmeer" of cream cheese for breakfast. I don't know if Thomas' makes date nut bread anymore, so I make my own. I made a loaf last night, and it's almost gone (of course....oink oink). It's great with or without a schmeer! This recipe is so simple. It was given to me and handwritten by a woman that I used to work with, so I can't give any cookbook credit! Pour boiling water and oil over dates and walnuts in a bowl and let stand for 15 minutes. To this mixture add the rest of the ingredients. Bake 45-55 minutes at 350F degrees. Let cool before releasing from pan. 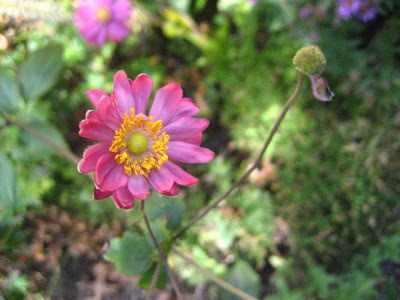 This is the last of the anemone flowers in our garden...........photo taken while enjoying a piece of date nut bread and a cup of afternoon coffee! Twenty twenty twenty-four hours to go-ho-ooo...I wanna piece of date bread! Yes! The schmeer of cream cheese! We always had that on our date nut bread too! It looks like it would be great with a cup of coffee or tea. Oooh, date nut bread sounds like such a treat! I love that you can get dates on a roadside stand by the airport! Do you make date bars for the holidays too? That's always been a tradition in my family. Yummm! I just bought some dates today, after I checked this out the other day. I love this, cause it dosen't use much oil. I'll take it with a schmeer too! 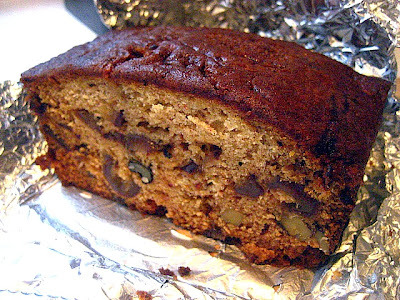 Date bread is like a childhood memory to me. My mom use to make it and it was my favorite. She doesn't have the recipe anymore. So sad. I might have to try to make your recipe with my wheat-free flour mix. Schmeer of no schmeer it sounds delicious. 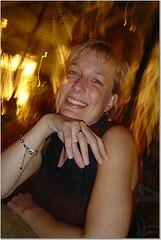 Stacey.. I found a girl after my own NY heart! Love that datenut bread.. I moved to Las Vegas from Staten Island and they don't have a clue what it is here. I had a friend always send it to me but now Thomas doesn't make it. Thanks for the great tasting cake and glad someone felt the same way. Love date bread, with cream cheese especially. In Palm Springs there is a farmers' market once a week, and all the date farmers come in and sell their delicious dates. You can also buy lots of other date things, like date shakes, and date baked goods. A really good reason to go there, besides the weather. 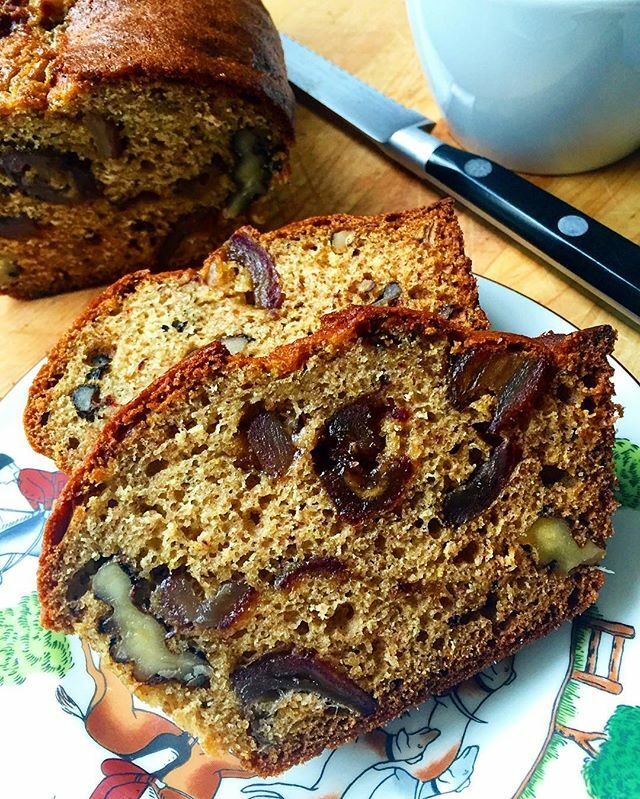 Date nut bread is divine, and I discovered a trick to elevate it even more. 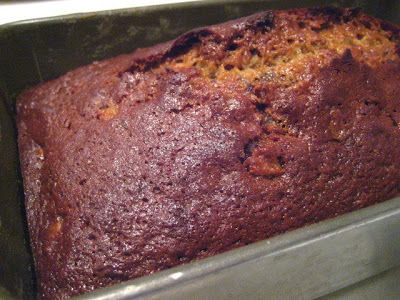 It is as simple as waiting to eat it for at least one to two days after it's baked, It is sooo much more moist and luscious, and the caramel-like date flavor develops. Just wrap in foil (refrigerate in summer) and bring to room temp. Stacey, do you use a Convection oven for this? I made it in regular oven and it took 75 mins. to bake. I am on cloud 9. So thrilled to find your recipe for date bread!! I remember my mom making this every year for Christmas. Love it and will make it this year for Christmas!!! Has been many years since I have had this. I was 36 when my mom passed and I am now 70!! Thanks for sharing. God bless.